Julia Lodge, Peter Lund, Steve Minchin, "Gene Cloning"
The ability to successfully clone genes underlies the majority of our knowledge in molecular and cellular biology. 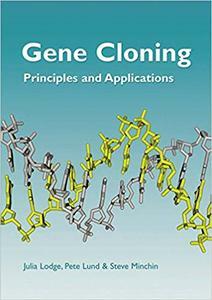 Gene Cloning introduces the diverse array of techniques available to clone genes and how they can be used effectively both in the research laboratory, to gain knowledge about the gene, and for use in biotechnology, medicine, the pharmaceutical industry, and agriculture. It shows how cloning genes is an integral part of genomics and underlines its relevance in the post-genomic age, as a tool required to test predictions of gene regulation and function made through bioinformatics. 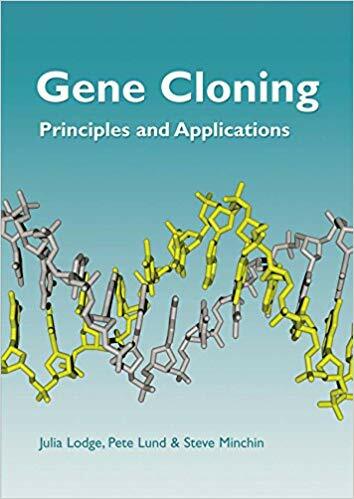 Applications of gene cloning in medicine, both for diagnosis and treatment, and in the pharmaceutical industry and agriculture, are also covered in the book. Gene Cloning takes a fresh approach to teaching molecular and cellular biology and will be a valuable resource to both undergraduates and lecturers of biological and biomedical science courses.